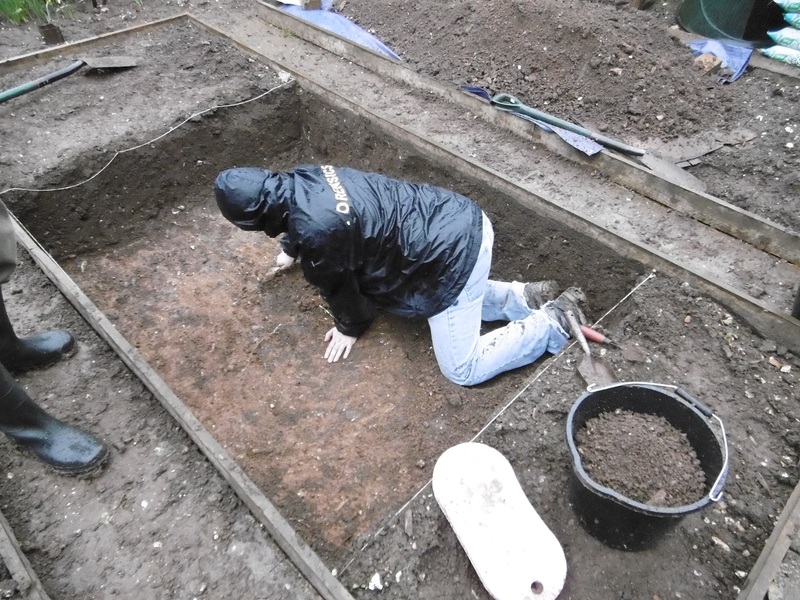 With the generous permission of one of our volunteers we ventured once again into exploring what evidence, if any, of the Camp remains beneath the houses and hills of Shoreham. 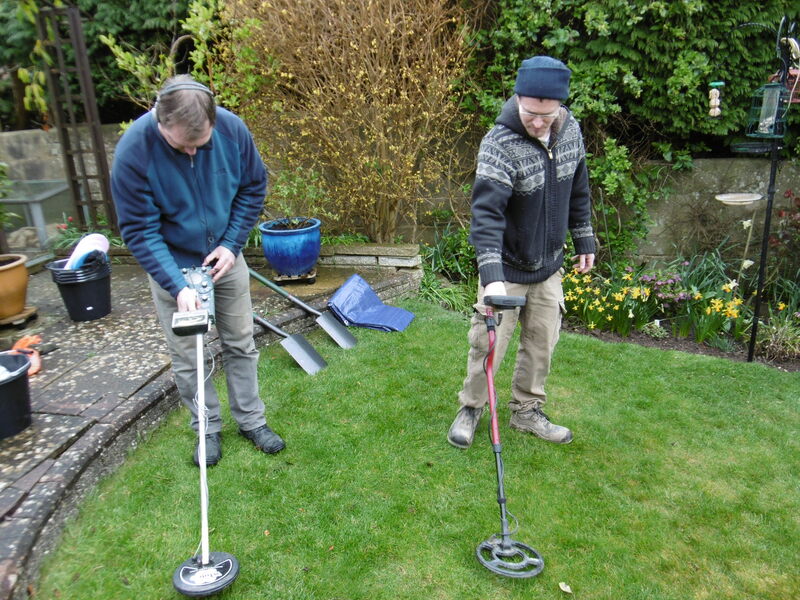 Justin Russell from Archaeology South-East and Luke Barber from the Sussex Archaeological Society provided some training for our older volunteers in the techniques of metal-detecting and excavating a small test pit in our volunteer’s garden. Luke Barber (left) and Justin Russell (right) testing the metal detectors. Justin used 1916 and modern maps along-side aerial photographs to match up where the garden lay in relation to the where the Camp used to be. This revealed 4 barrack blocks crossing the area; one was now under a modern road, another under the conservatory, one lay across the centre of the lawn and the fourth lay at the very bottom edge of the garden. We marked out where one barrack block would have crossed the lawn with string. 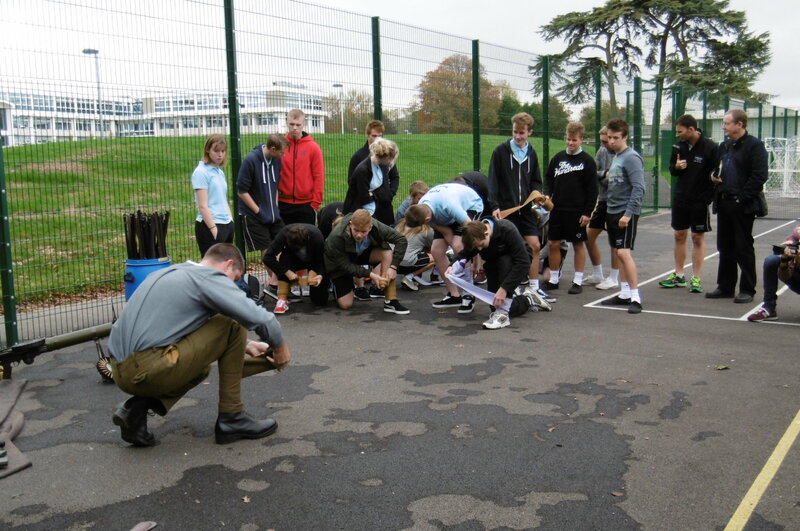 Luke then taught the volunteers the basics of using a metal detector. 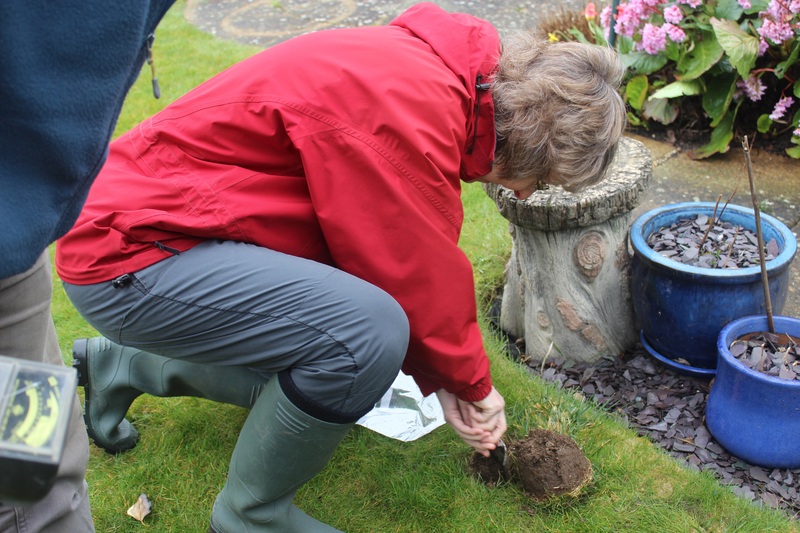 Given the restricted size and disturbed nature of the ground we treated the whole area as our sample and with respect for the lawn we only searched for non-ferrous material (non-iron) like brass. Volunteer extracting object found with metal detector. 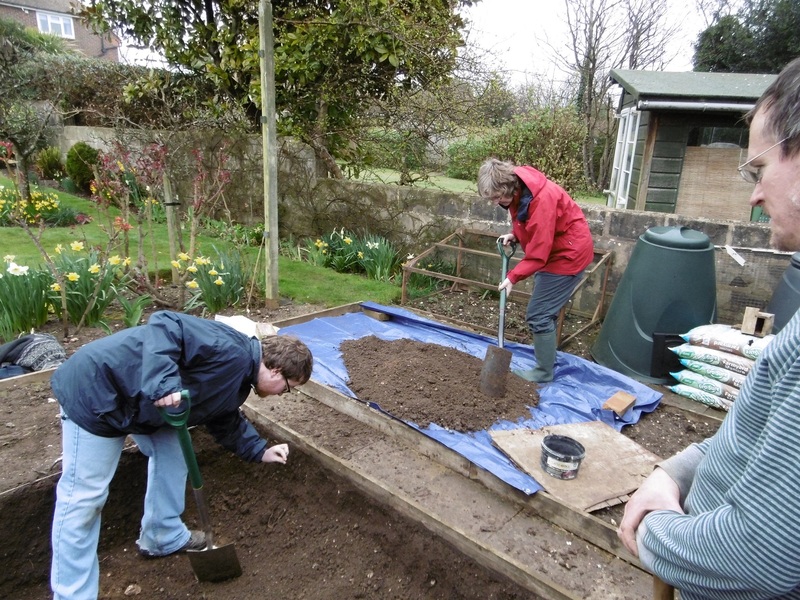 At the bottom of the garden we excavated a small section of the deep-beds. 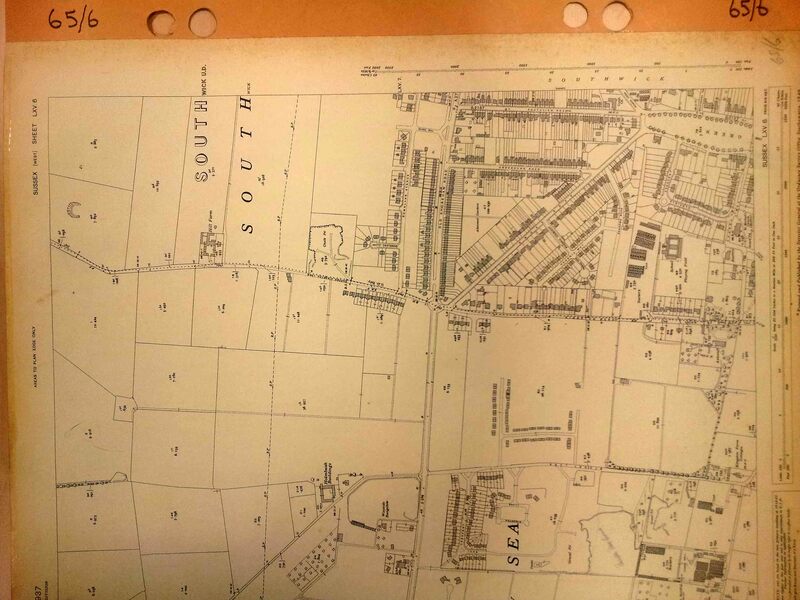 Our hope was to locate a path or drainage associated with the barrack block at the bottom of the garden. 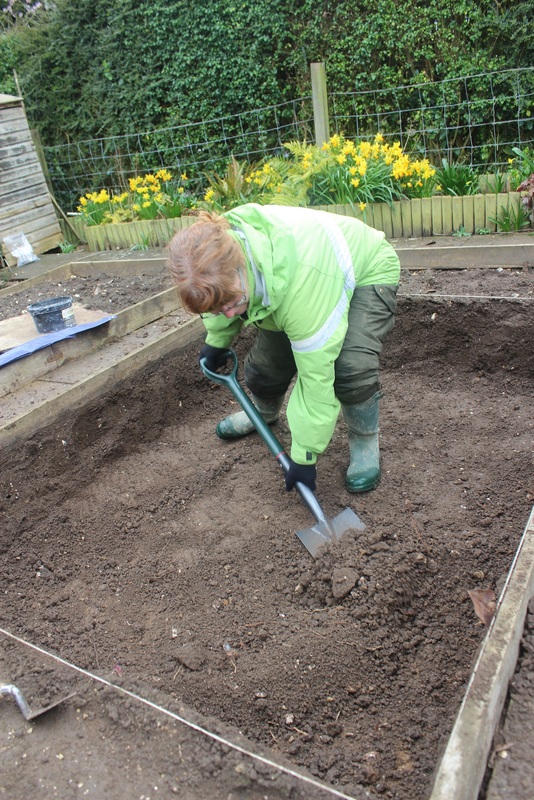 However, whilst we discovered plenty of construction materials such as nails and glass we did not find any features. Despite the horrendous weather the volunteers soldiered on and we would like to thank them for their hard work and Justin and Luke for their expertise and support. 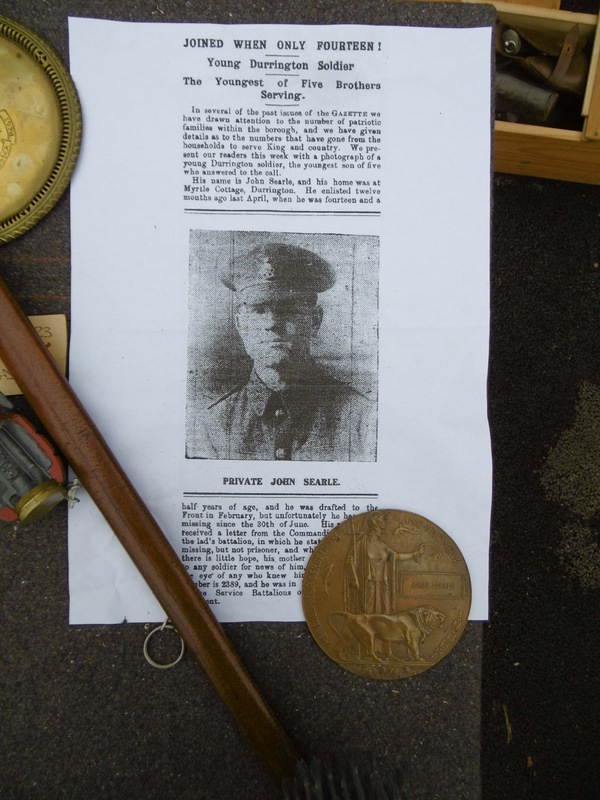 We have just recently received a full report, kindly produced by Justin Russell, on the objects we uncovered back in March. 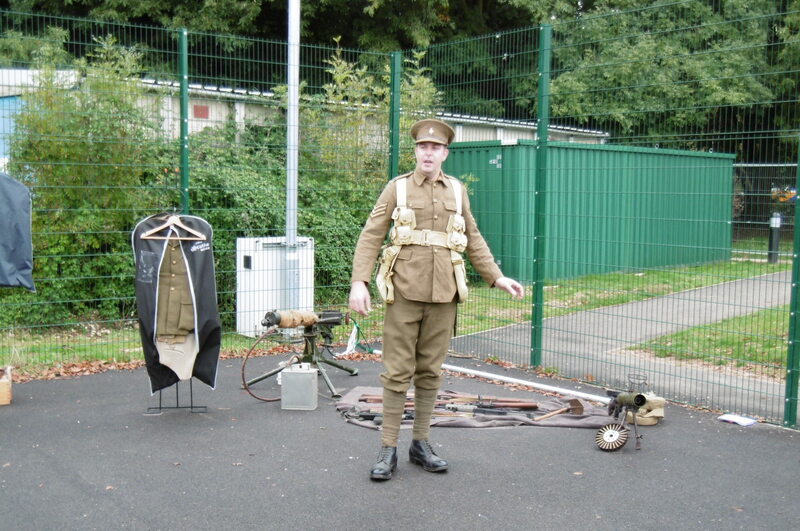 In addition to more modern discoveries and even some World War Two materials, a number of the objects were identified as likely from the First World War Camp. 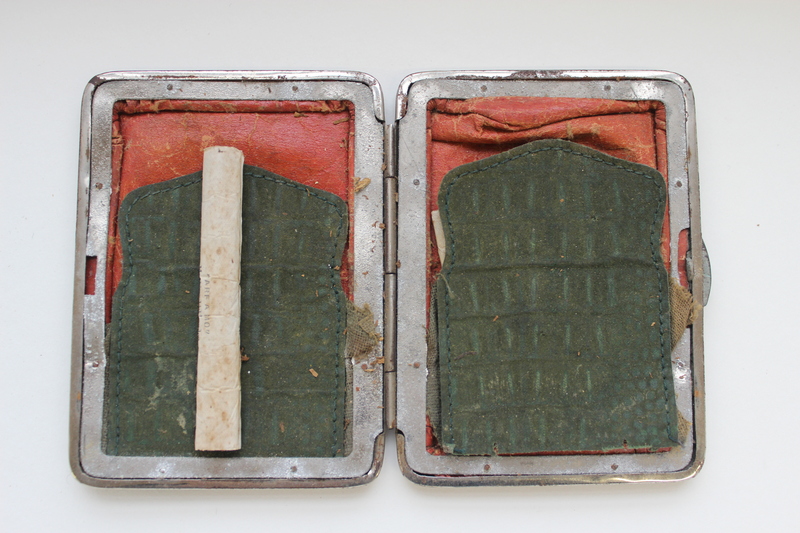 These included construction materials such as nails and glass along-side items from everyday life like ceramic crockery and part of a fountain pen. 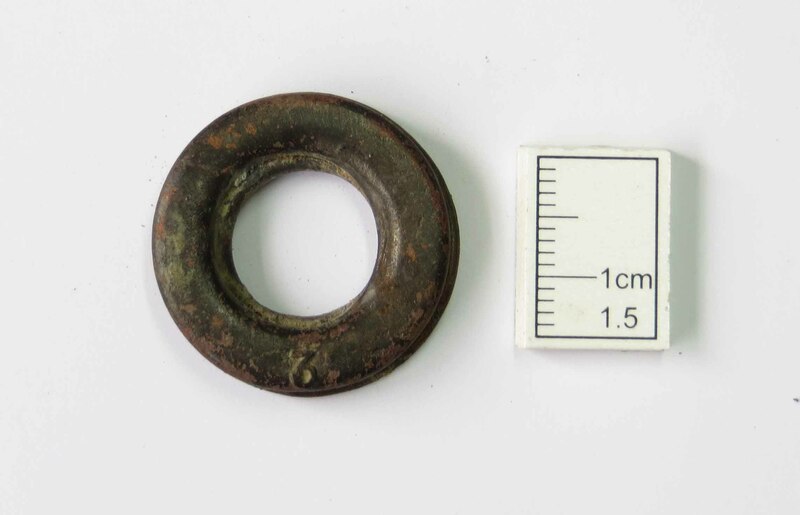 There was even an eyelet from a ground sheet which may well have come from the early tents at the Camp. Courtesy of Justin Russell, Archaeology South-East. (the groove around the cylinder of the bullet, to secure it in the cartridge) suggest it was a training/drill round probably of late First World War date. Comparison of .303 bullets. 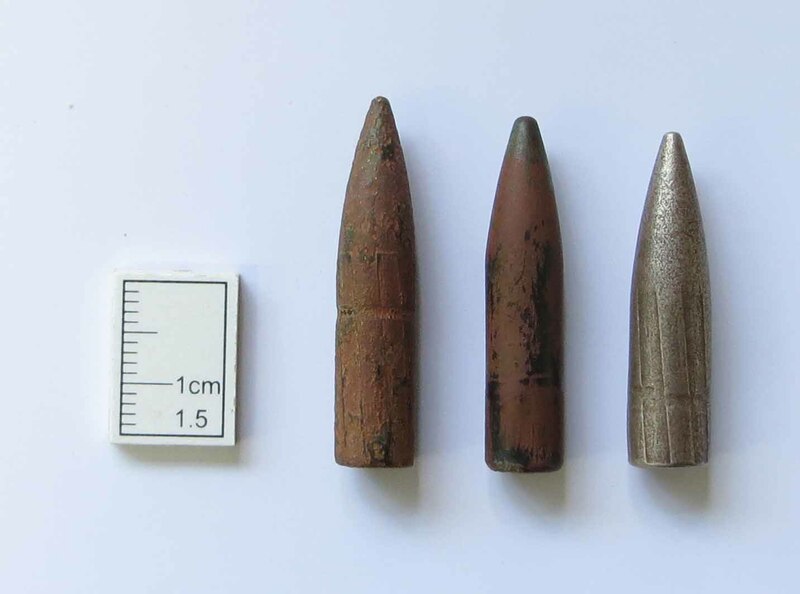 Left: long tracer bullet, Centre: training/drill round found in garden, Right: regular .303 bullet. Courtesy of Justin Russell Archaeology South-East. 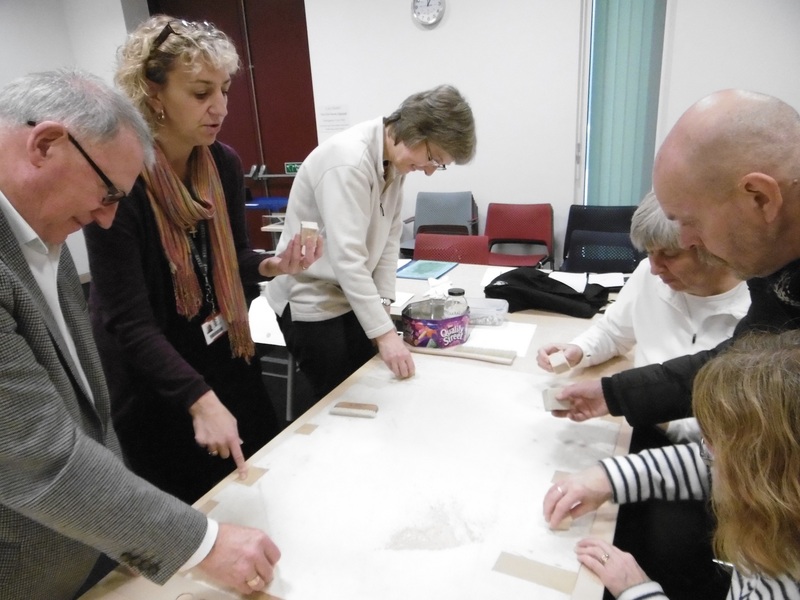 This time 5 of our older volunteers got their turn in visiting the new archive at the Keep, Falmer – the site of the East Sussex Record Office and the University of Sussex Special Collections as well as other local history collections. 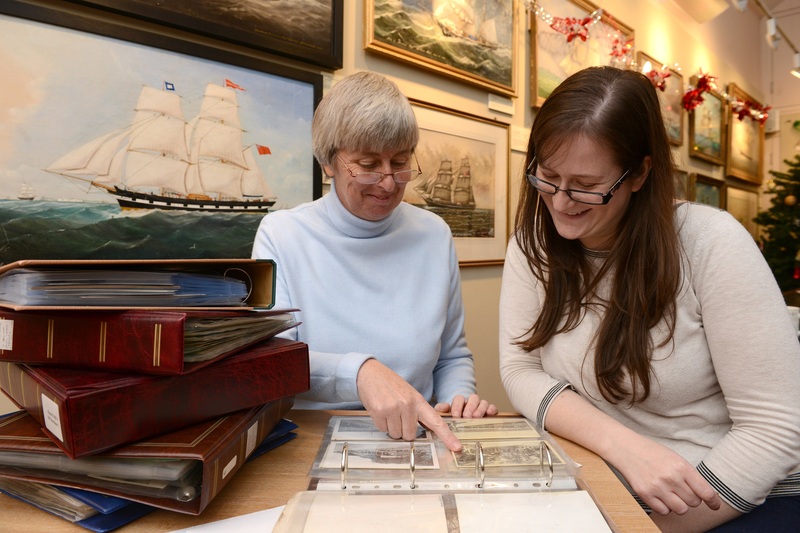 Whilst our volunteers, and the project coordinator, have all visited archives before there is always something new to learn. 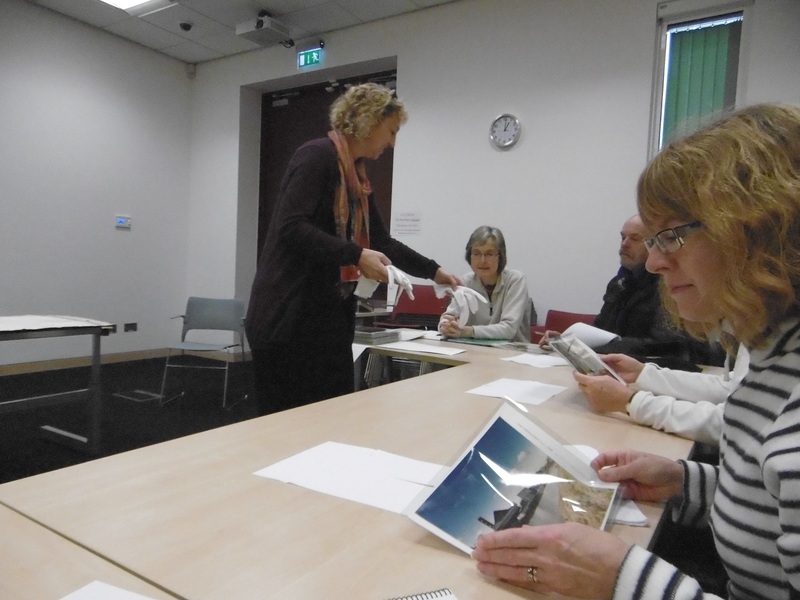 Conservator Melissa Williams took us through a guide to paper handling and the principles of conservation for books, photographic prints and photographic plates. For example only using non-ferrous metals (most commonly brass) for paper clips and staples as they don’t degrade. We followed this by some relaxing map cleaning. Melissa showed us how and why the materials used to clean the maps had changed over time from drafting powder to modern Mars Staedler rubber erasers. 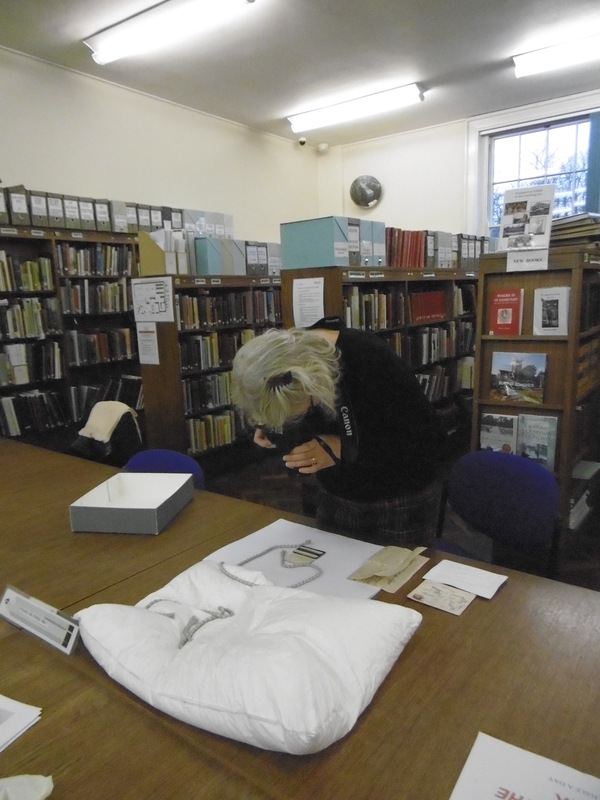 One of the most exciting events of the day was when Archivist Elizabeth Hughes took us behind the scenes to see where the documents, materials, books, etc. were quarantined then finally deposited in the archive. The quarantine – a week in a blast freezer at -35 degrees C – kills off any moths or pests that could damage the rest of the collection. We finished up with a look through the same coroner’s reports the students viewed on September 24th. 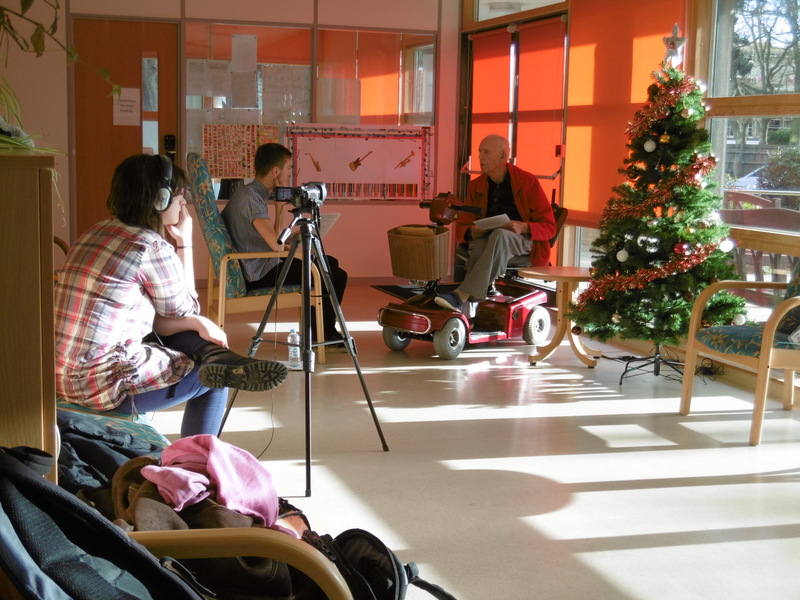 The older volunteers brought new perspectives to our understanding of these from their personal experiences and research – e.g. 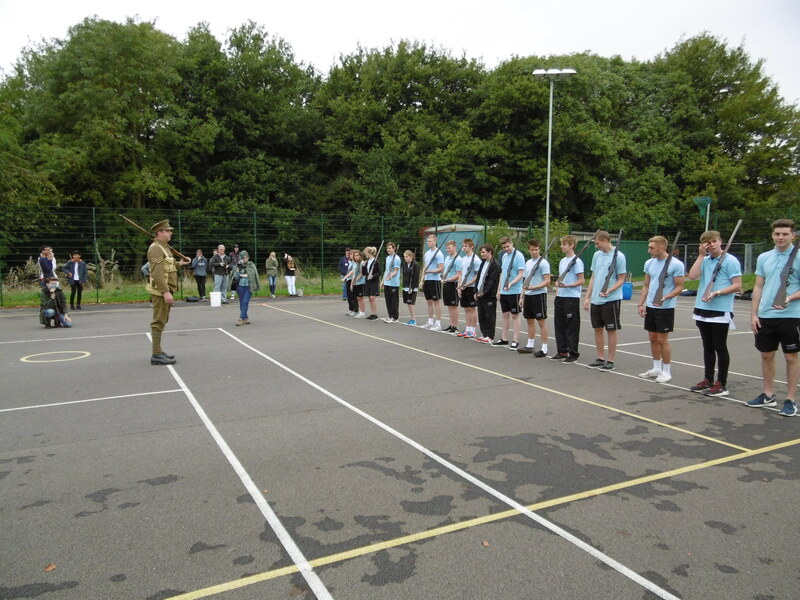 a medical perspective and knowledge of the camp layout. 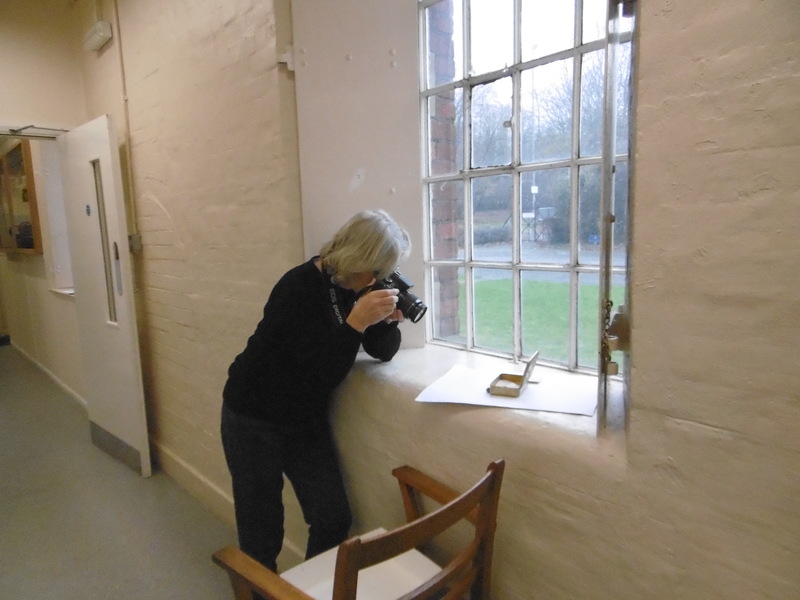 Thank you very much to Elizabeth Hughes and Melissa Williams for a thoroughly interesting day at the Keep. 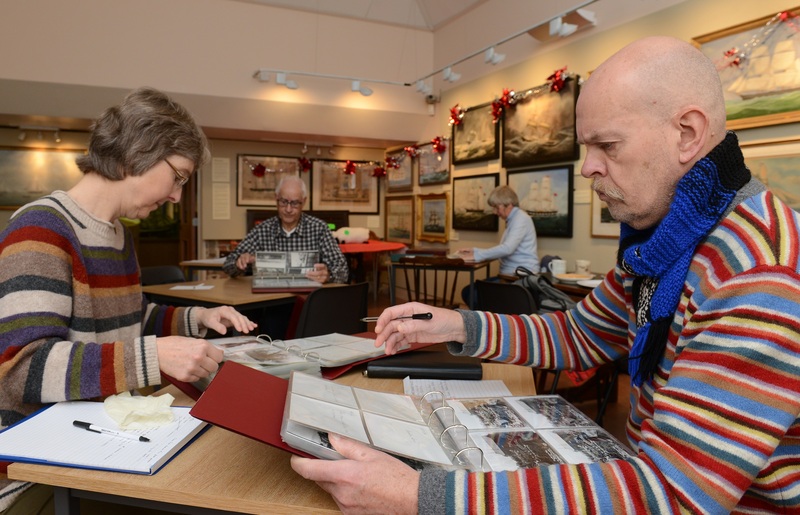 Four of our volunteers have even signed up for readers cards in order to visit the archive in their own time for their own research. 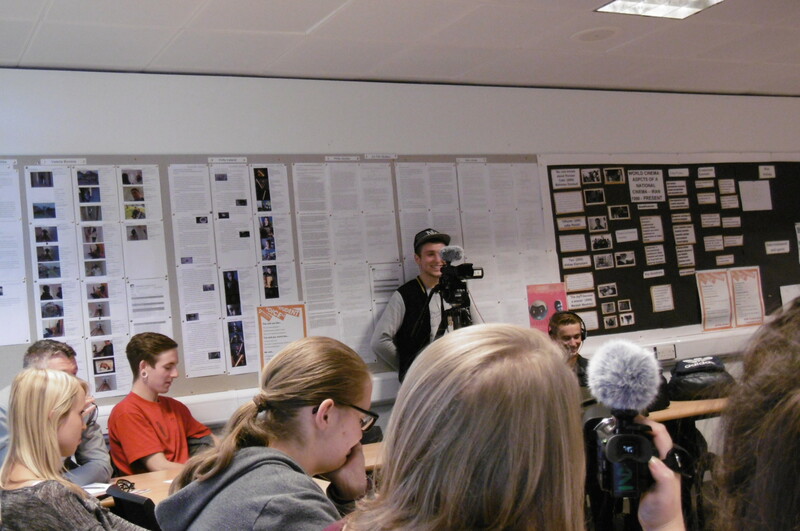 On Wednesday morning the Worthing College Creative Media Production students visited us at Worthing Museum. 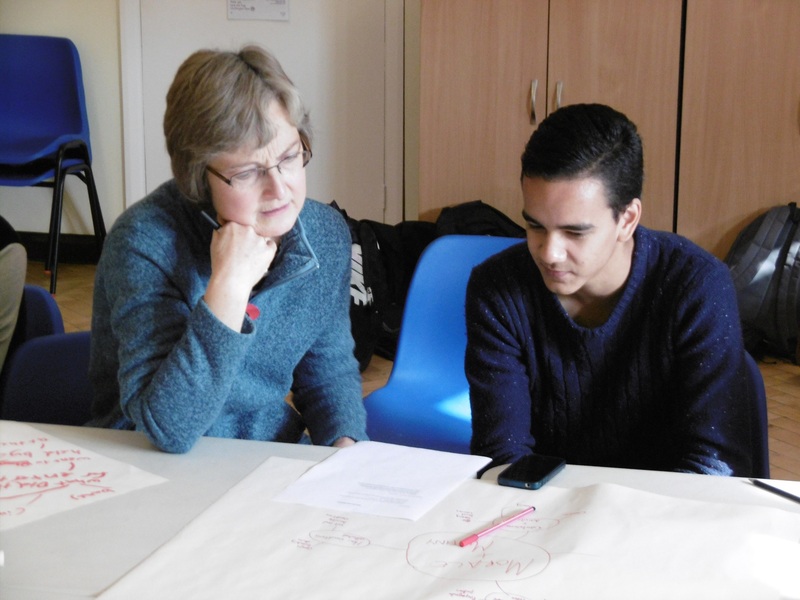 We were also joined by four of our older volunteers who joined the project in October as researchers. 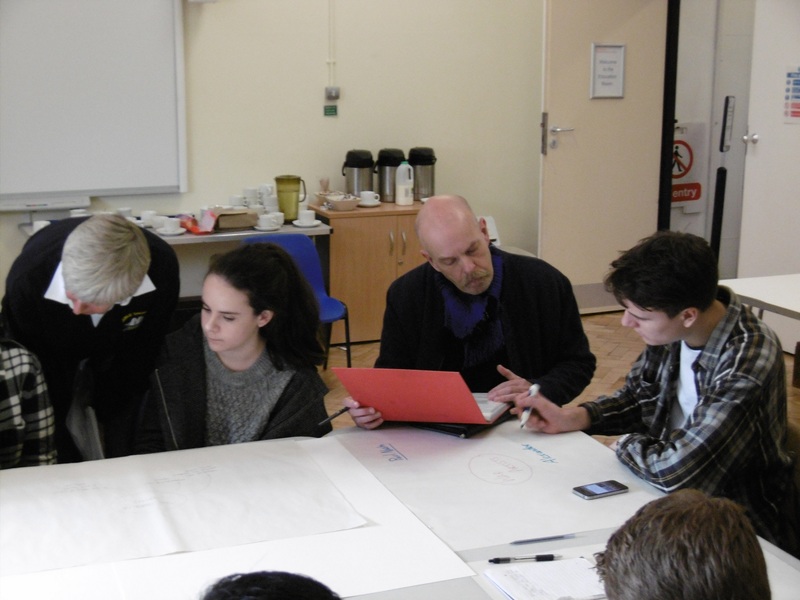 The purpose of the day was to introduce WWI items from Worthing Museum’s stores and brainstorm storm ideas for next year. Gail introduced a selection of posters and postcards from the museum stores that provide context and reveal stories about life outside the camp. 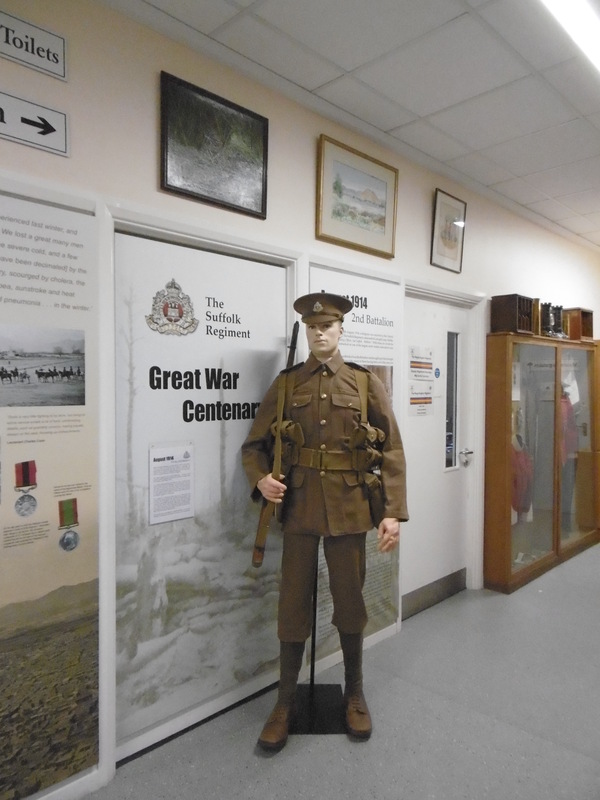 For example the regular concerts in Worthing performed by Canadians and British regiments many of whom were stationed at Shoreham Camp. 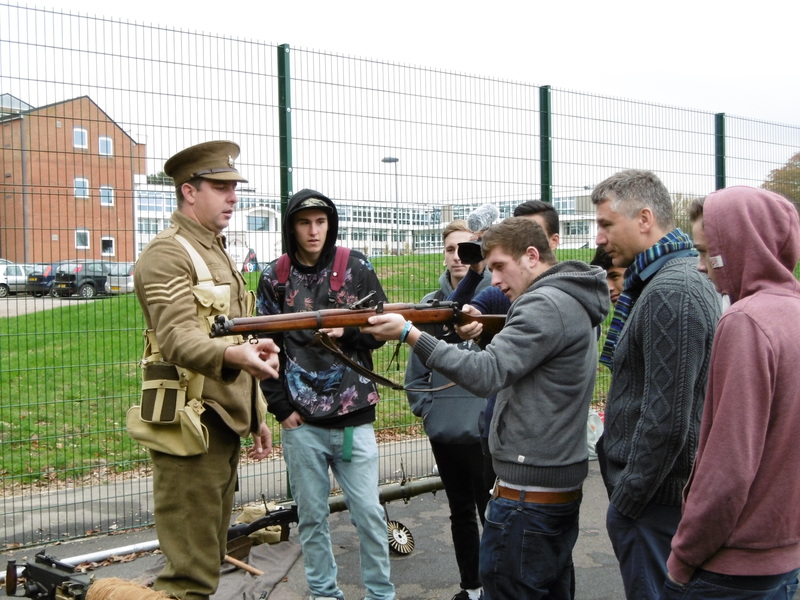 The postcards offered images of men at the army camp, satirical cartoons and a few personal messages. 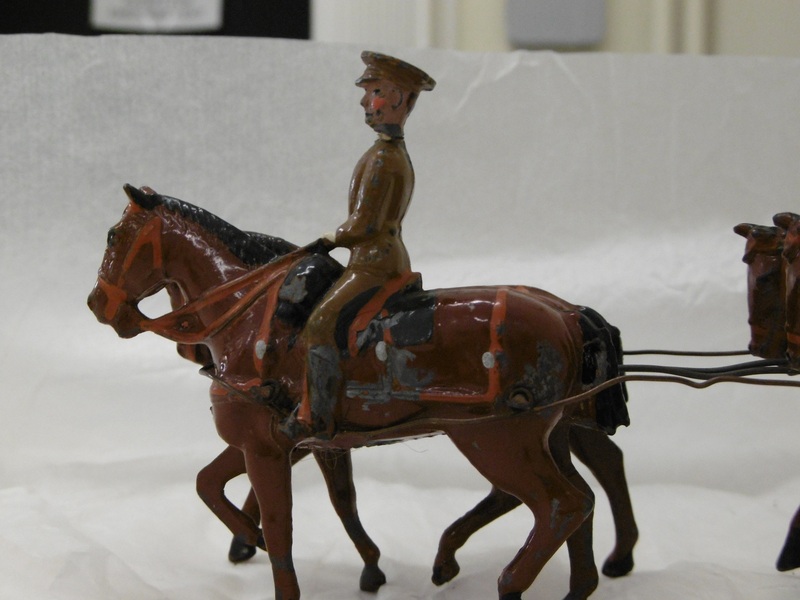 Hamish brought out a delightful collection of toy soldiers made during the war and an original Sussex Regiment uniform. 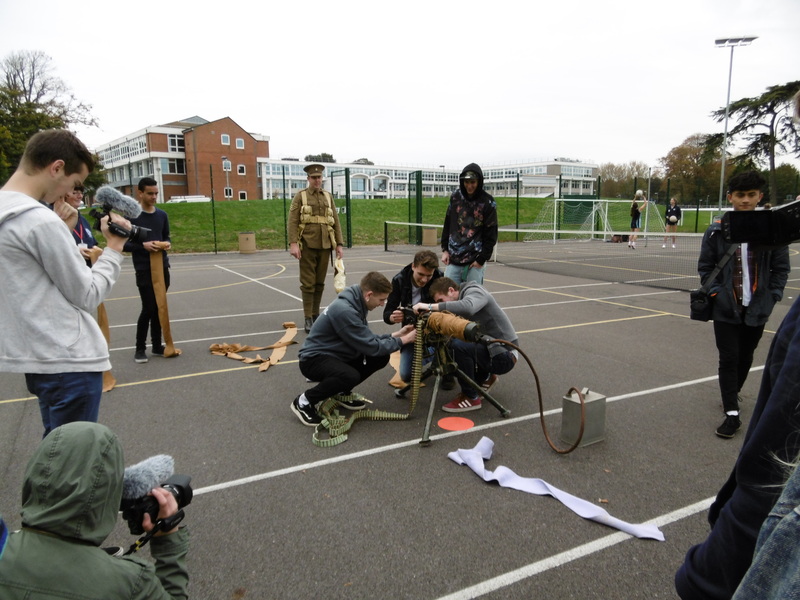 There was also a trench periscope used to peer over the top of a trench out into no man’s land and a training round for use on the rifle ranges. 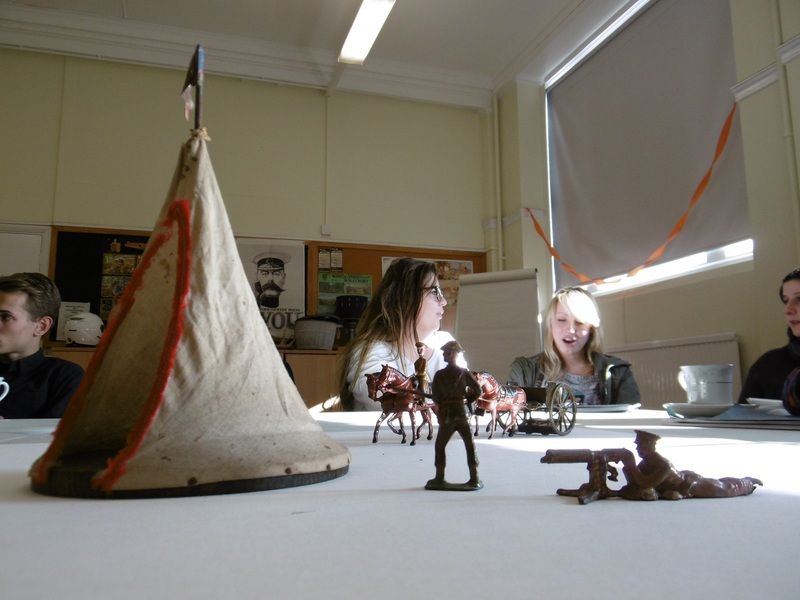 The toys included a bell tent. The first recruits who stayed in Shoreham stayed in these type of tents until huts were constructed. 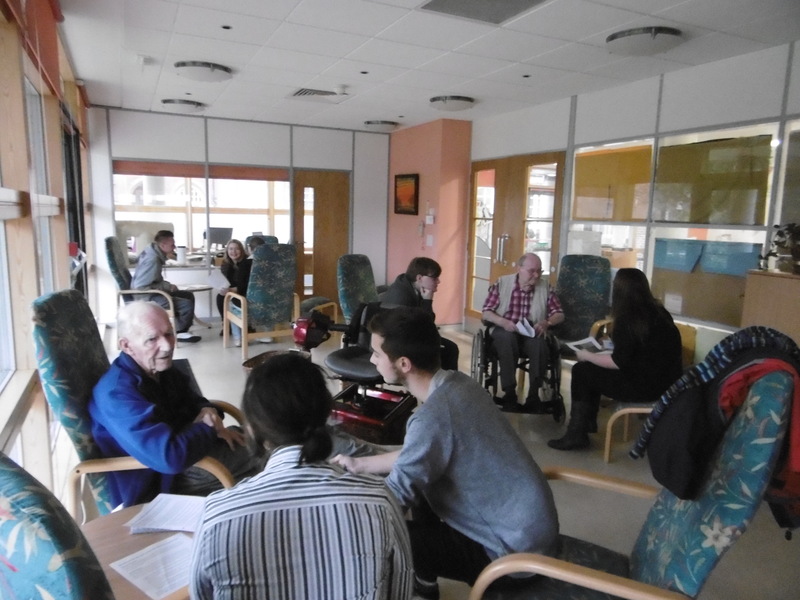 The students and volunteers had plenty to discuss and were soon putting their heads together. 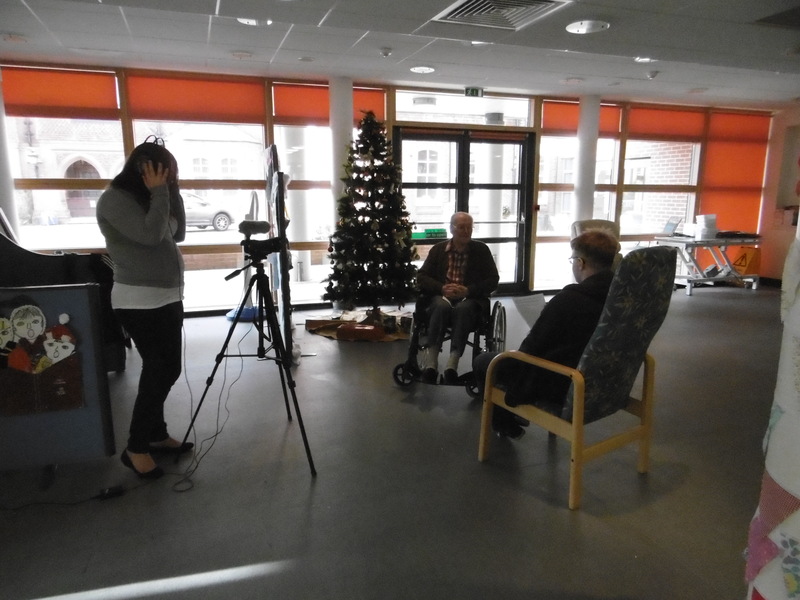 The students focussed on their chosen film topics and our older volunteers offered their advice and insight as experienced researchers. 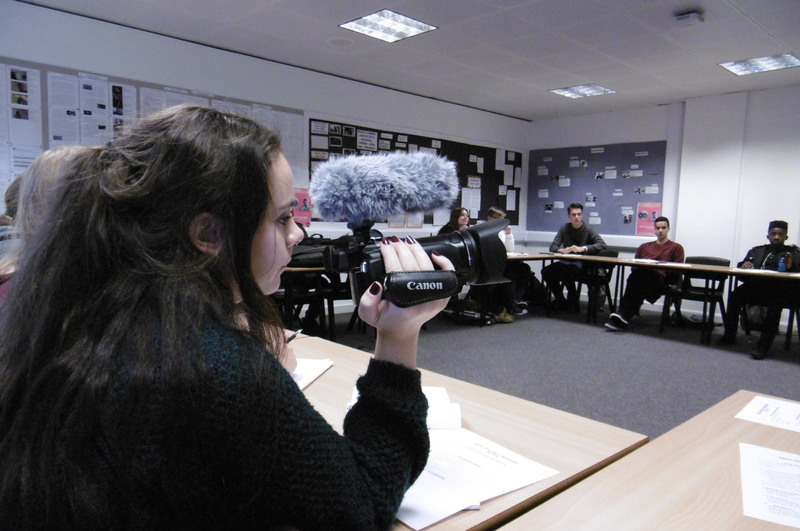 We are looking forward to see how the films are shaping up in the New Year. 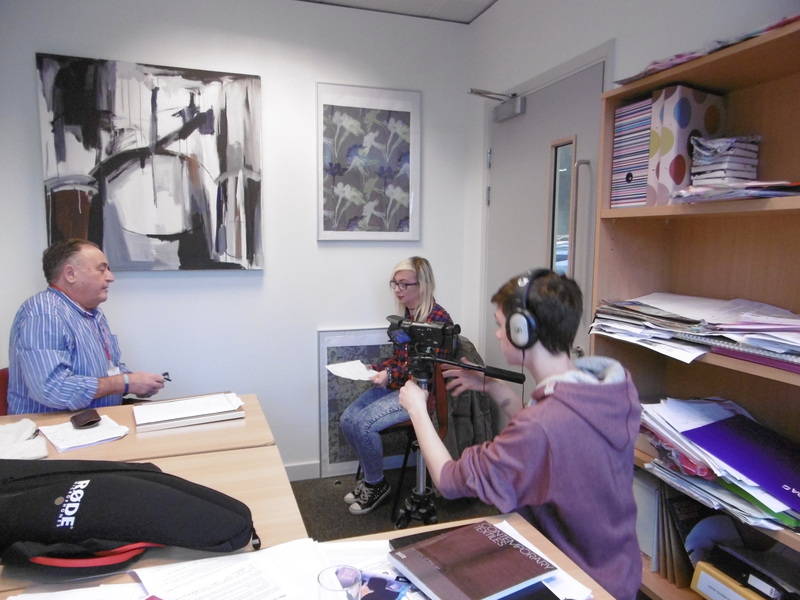 The final films will feature next year in our project exhibition and on a new website. 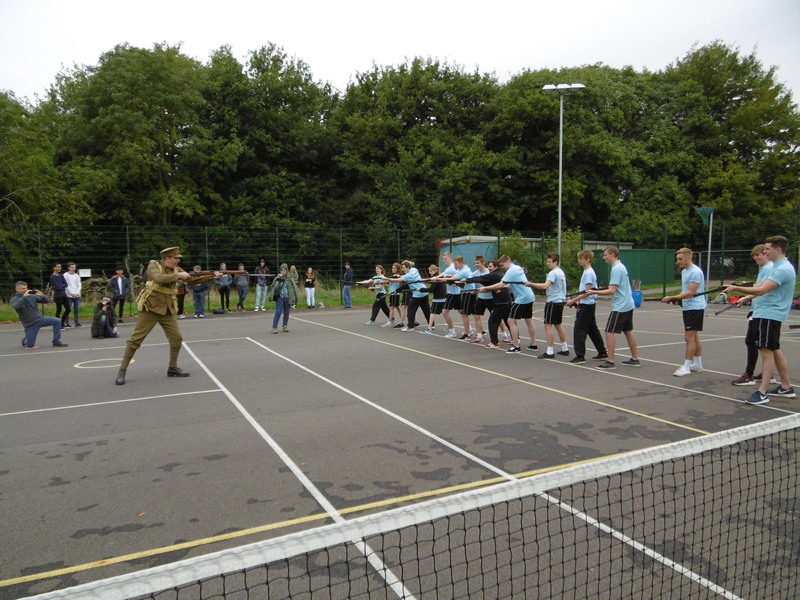 So keep your eyes peeled for upcoming event dates early next year. 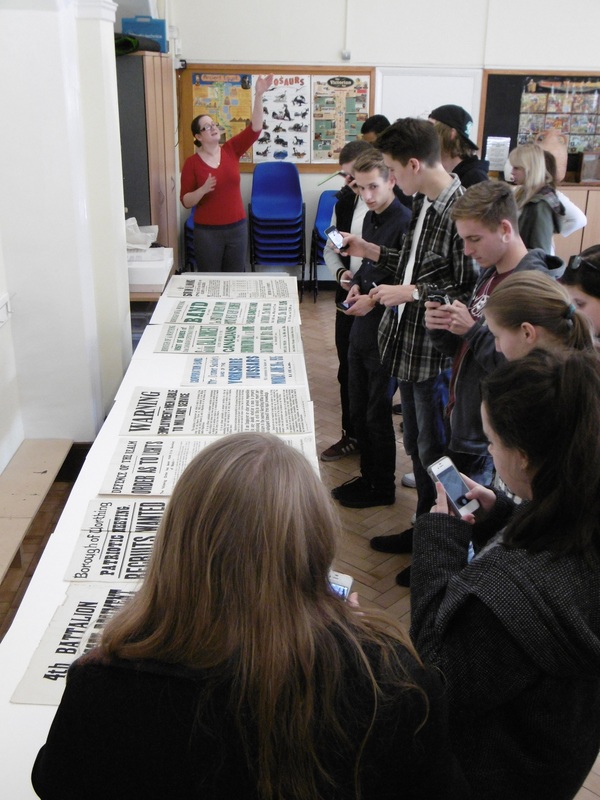 24th September 2014: Creative Media Production students visited The Keep, the site of the East Sussex Records Office and the University of Sussex Special Collection as well as other local history collections. 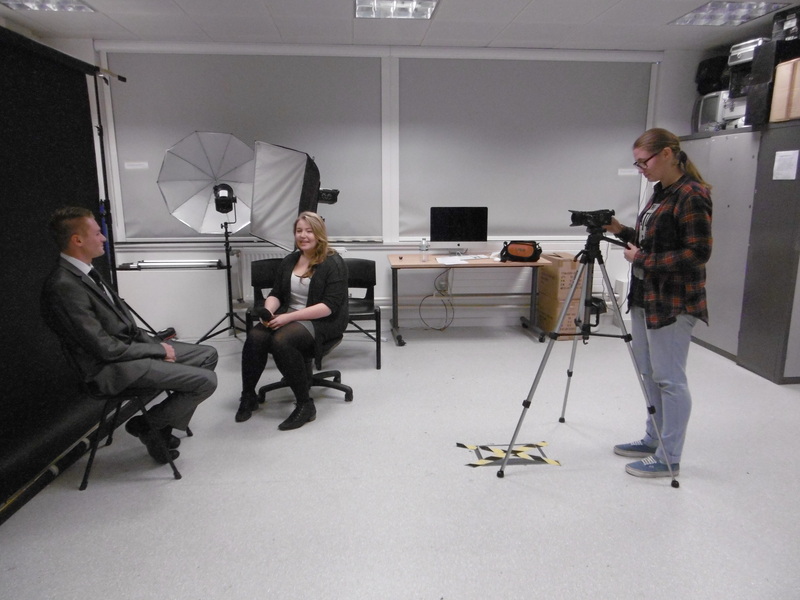 The main aim of the visit was for students to learn how to handle delicate paper and photographic artefacts and to learn how to execute searches using the archive’s electronic database and physical facilities. 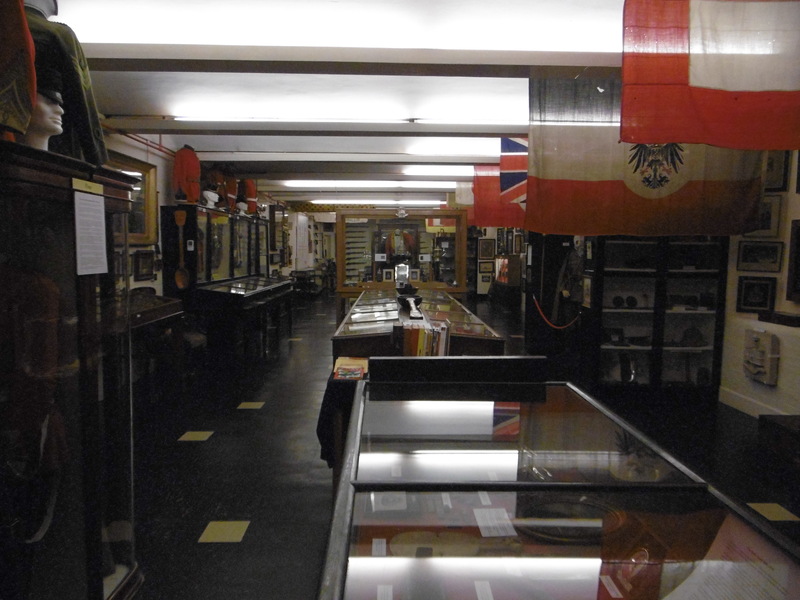 Firstly, students learnt how handle paper and photographic documents and learnt about the specific issues involved in caring for and handling delicate artefacts. For instance- all of the older photographic and film based documents are stored at 12 degrees centigrade to prevent spontaneous explosion of the unstable silver nitrate used in pre 1933 film fabrication. 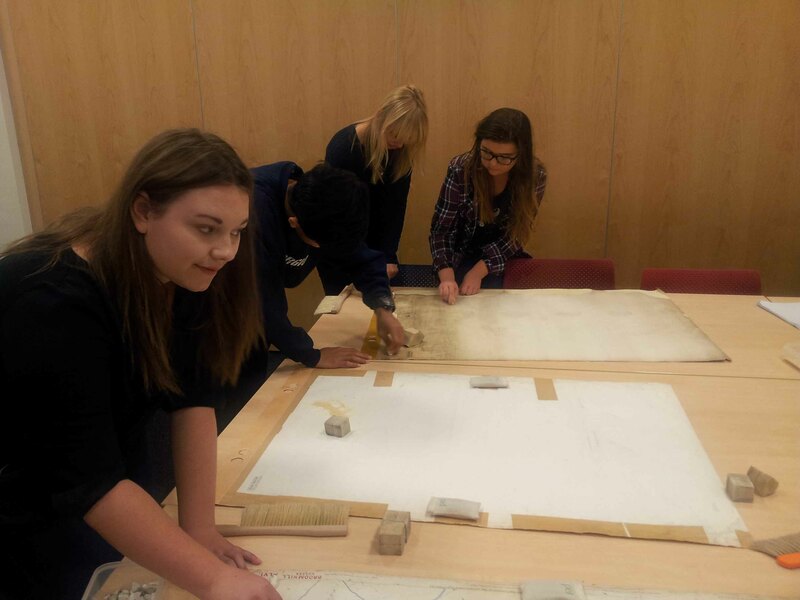 We we also introduced to the care of paper documents and all had a go at cleaning up old maps using drafting powder and erasers: very therapeutic work! 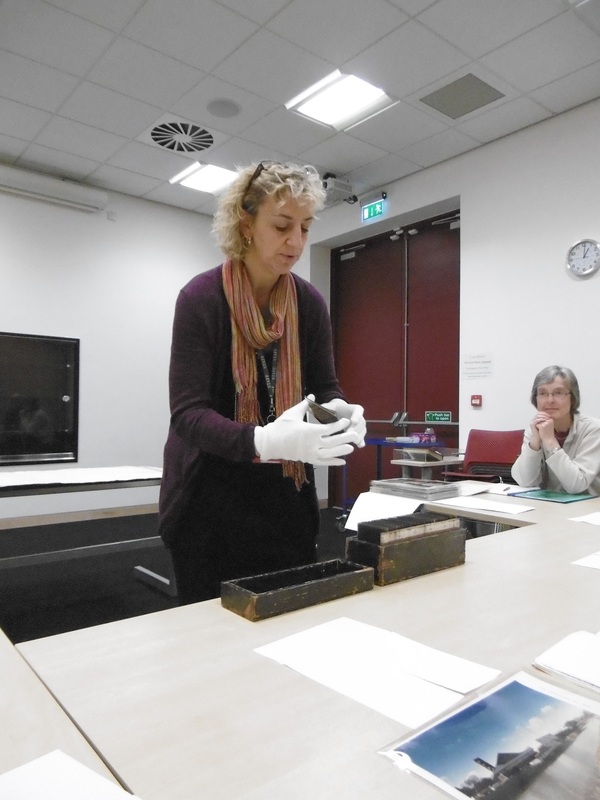 Many thanks to conservators Mellisa Williams and Donna Edwards for sharing some of their expertise and knowledge. After a short break , archivist Elizabeth Hughes showed the students how to complete online searches and how to access physical documents. 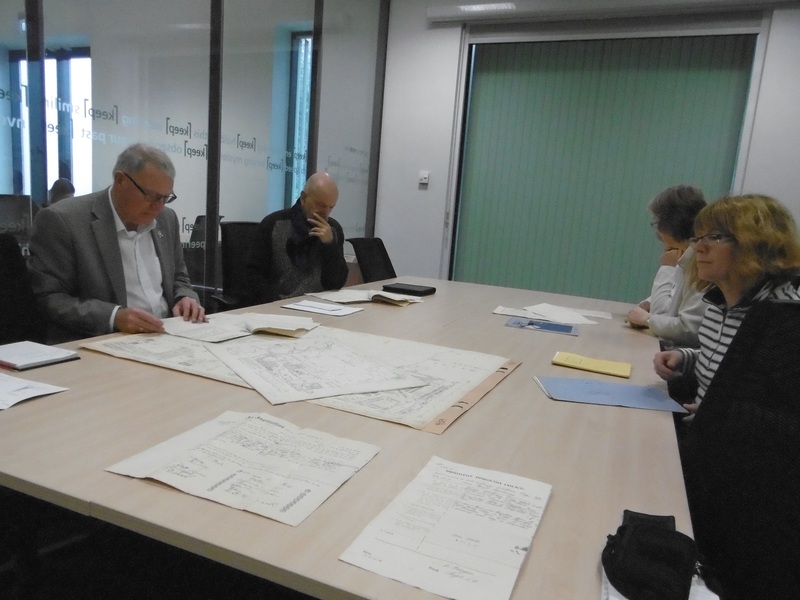 the session ended with a tantalising look at some genuine documents from the Slonk Hill Camp, including coroner’s reports, police reports and eye witness statements and maps of the Buckingham Park area. Many thanks to everyone at the Keep and to Hamish McGillivray, curator at Worthing Museum for organising the visit to the Keep and for helping out on the day.